If you’re often out and about in your car, it’s likely that you’ll need to transport some items from A to B from time to time. Whether you’re picking up some shopping from the supermarket or heading to the course for a round of golf, there are lots of reasons why a decent boot will come in handy from time to time. In the Hyundai i10, you can enjoy the benefits a smaller car brings as well as having enough boot space to get your jobs done. 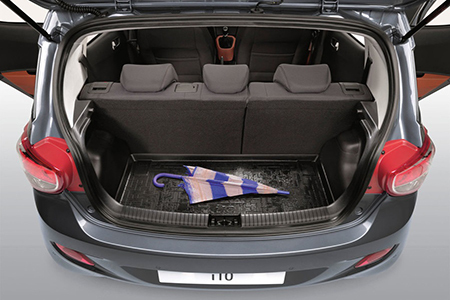 - Family errands: If you’ve got a small family, the i10 boot space will be more than sufficient. Provided it’s a standard size, fitting a single buggy into the boot is easy. If you’re out and about shopping, at least four large shopping bags will able to go in the boot, so you’ll be able to get your errands run. - Camping tent: If you’re driving to a music festival, the Hyundai i10 boot space will have enough room to store a small, folded-away tent - so there’s no need to worry about whether your gear will fit. And there’s no need to take the back seat down either: with your friends still able to take up the four passenger seats in the main body of the vehicle, you can all travel down to the event together too. - Music equipment: If you’re playing at a gig or festival, the Hyundai i10 boot size will likely be enough to carry your stuff too. While you might not be able to fit an entire band’s worth of equipment in there, the Hyundai i10 boot capacity means that you’ll certainly be able to get an instrument case or a couple of speakers across town. - Golf carts: Heading for a round of golf is a good way to relax, and provided you don’t have an overly large golf bag, the high boot lip on this model means that you will be able to fit it in there with ease. The Hyundai i10 boot dimensions rest at 252 litres, so this model can help you get up to the golf course and back. - A spare wheel: No matter what you like to do with your spare time, it’s always a good idea to have another wheel handy in case things goes wrong. 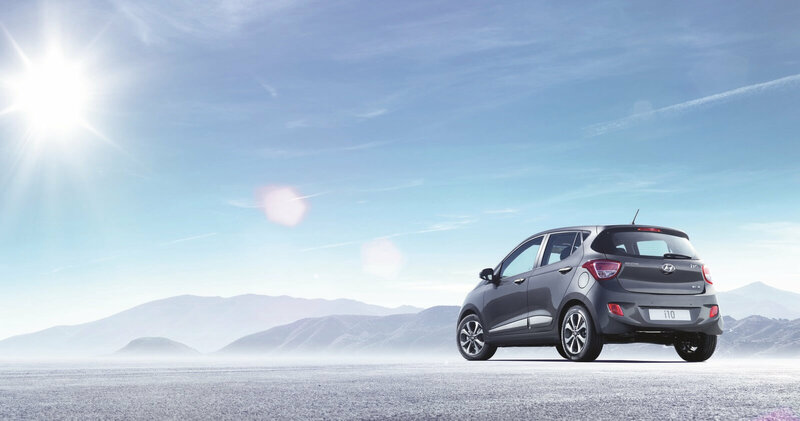 The Hyundai i10 boot capacity stores the spare wheel away from the main boot area as standard, though, so you can still use the boot for whatever you need to carry. The spare wheel which comes with the vehicle (if you request it) is stored under the floor rather than inside the boot, so it doesn’t reduce the space you have for your gear - whatever that might be. Want to learn more about what the Hyundai i10 boot can offer you? Check out the product page over on our website.